The Freepers have taken me to task for something I said that wasn’t quite right. Of course, like everything they disagree with, the language becomes quickly hyperbolic, and my mistake become a lie, and my whole body of work becomes propaganda. It’s somewhat vexing not to be permitted to post over there, to reply and set the record straight, leaving me to do it here. I originally approached this Obama conspiracy theories business with an open mind, and I try to do the same with each new twist and turn of the birther movement. When Leo C. Donofrio publicized his theories that research into the sources of the US Constitution led him to believe that natural born citizens must have citizen parents, I read everything I could get on the subject. 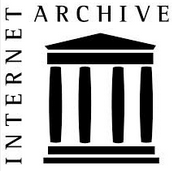 This meant many hours of Google searches and buying some books. One of the books I bought was James H. Kettner’s book, The Development of American Citizenship, 1608 – 1870, published by the University of North Carolina Press. While Kettner’s 391-page book covers the material in considerable detail, it never comes out and defines “natural born citizen.” However, it does provide extensive background into where American ideas on citizenship came from, and in particular gives considerable discussion to Lord Coke’s decision in Calvin’s Case. I said in a comment here that Kettner’s book never mentions Emmerich de Vattel, and that is not true. There is one mention of a British loyalist, Peter van Schaack, who read Vattel and several other writers to help him decide whether he could legitimately participate in the American Revolution, concluding that he would not participate. That is the one and only mention of Vattel in the book. While I believed that Kettner did not mention Vattel when I wrote it, I should have known better. Vattel is listed in the index, and my copy of Kettner even has the Vattel passage highlighted. All I can say as an excuse is that I read the book some months ago, since the Vattel reference was off topic, I forgot it. All that said, nowhere in Kettner’s book is Vattel mentioned as a source of American ideas on citizenship. How do the historical revisionists explain a major scholarly work on the development of US Citizenship completely ignoring Vattel as a contributor to the topic of the book? They jump all over my tiny mistake, but ignore the substance of what I said. 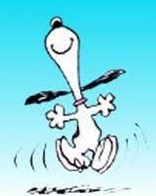 The Freepers can do Snoopy’s “Happy Dance” because they got on on the old Doc, but they have lost the war. Kettner’s book is just one more proof that Vattel is irrelevant to the acquisition of American citizenship. One birther, not to waste a citation, uses this quote from Kettner as proof that even “lowly farmers” read Vattel. Actually Peter van Schaack was not a “lowly farmer” but a prominent lawyer. 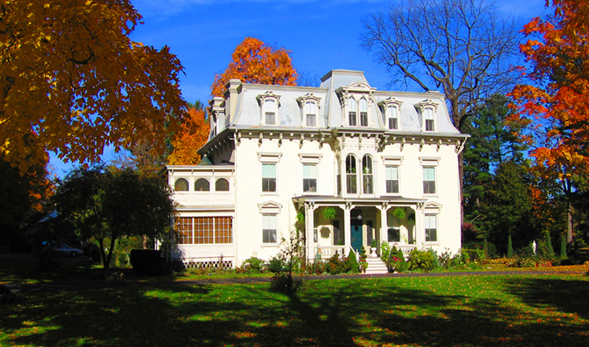 Here is a picture of his lowly farm house, which still stands today in Kinderhook, NY. The appeal in Keyes v Bowen has been denied by the California district court of appeals. This is the case jointly brought by Ambassador Alan Keyes, Markham Robinson and Baptist pastor Wiley Drake against California Secretary of State Bowen, that argued Bowen should have verified Barack Obama’s eligibility to be on the California presidential ballot. Retired Presiding Justice Arthur Scotland, sitting on the California court by assignment, said determining the eligibility of a presidential candidate is the responsibility of party officials and Congress and not California’s secretary of state. Gary Kreep of the United States Justice Foundation is the plaintiff’s attorney in the case. Read the decision at Leagle.com. Retired Navy Lt. Commander Walter Fitzpatrick III is reported to be in jail after Tennessee judge Jon Blackwood ordered his arrest for failing to appear in court. Fitzpatrick has been charged with inciting a riot at the Monroe County courthouse after trying to force his into a grand jury room to make a “citizens arrest” of the grand jury foreman. Fitzpatrick claims that the grand jury is “hopelessly corrupted” and has not been cooperating with his court appearances. The case started last year when Fitzpatrick, a retired military man whose beef with the government goes back two decades when he faced a court-martial, tried to get a Monroe County grand jury to indict Obama for treason. The grounds? Obama, Fitzpatrick contended, was not really born in the U.S.
Monroe County District Attorney Jim Stutts said, “these people are dangerous” referring to Fitzpatrick, and Darren Huff who was arrested with an AK-47 in his truck, allegedly on his way to Tennessee to “take over the town” and free Fitzpatrick. Huff is facing federal charges in this matter. This “admission” was supposedly a back-stage comment made to Keyes although Keyes doesn’t seem to remember it, and no recording of the incident has surfaced. Version 2 of the story is that it was a snappy retort by Obama during the debate that some claim to have heard during live coverage of the debate on C-Span, but that did not appear in rebroadcast versions. Obama’s point in either version was that he was running for Senate, not the President (in 2004). Emerich de Vattel, Swiss jurist and philosopher, has been a football in the Obama conspiracy game. One side wants to make him a “nobody” and the other wants to carve his face on Mount Rushmore as an American founder. The truth is in between. The wit and wisdom of Emerich de Vattel, a look at some of his writings that are very “un-American” . De Vattel: revisited. This article discloses the fact that editions of his book, The Law of Nations, didn’t have the phrase “natural born citizen” until after the Constitution was ratified. De Vattel for Dummies. This is a general article about the philosopher and his book, The Law of Nations, including its real title. The Law of Nations and the Law of the United States. It talks a little about the concept of natural law. 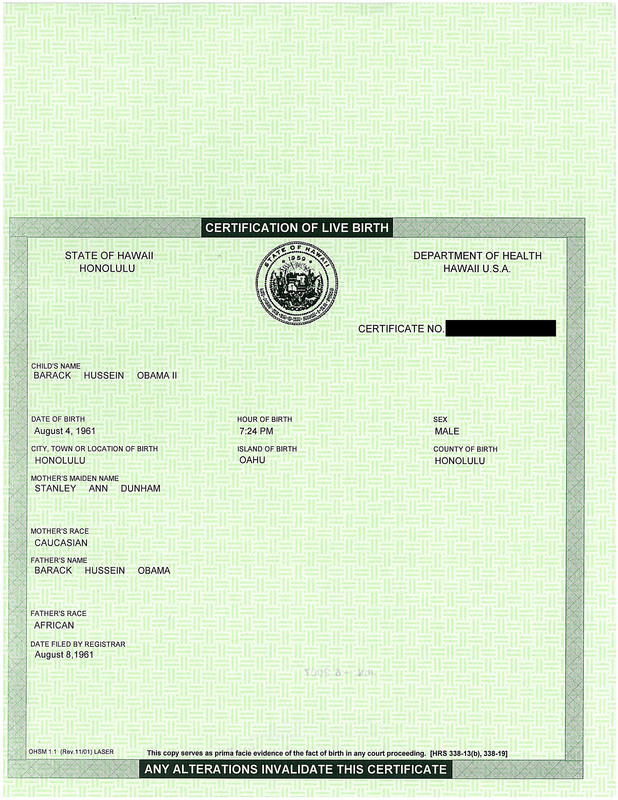 A birther example is that John Jay, first Chief Justice of the Supreme Court, cited de Vattel. Jay also referenced other political philosophers: John Locke, Lord Sommers, and Dr. Priestly. De Vattel was one of several philosophers that provided input to the founders of our nation. When we see de Vattel cited by the courts, it is typically on the subject of international law (i.e. “the law of nations”). Indeed, it is very, very unusual to see Emerich de Vattel cited favorably on the topic of American citizenship. For example, in James Kettner’s 1978 scholarly work, The Development of American Citizenship, 1608-1870, de Vattel is not mentioned a single time mentioned only once and that not in the context of the acquisition of citizenship! Phil Berg heavily publicized his once-postponed rally in Washington, DC, by sending me emails. I didn’t go last Saturday, and apparently neither did hardly anyone else. Here’s the video. Independent candidate for the 7th Congressional District Gary Kauther got some publicity this week when he toured the district on his tractor. 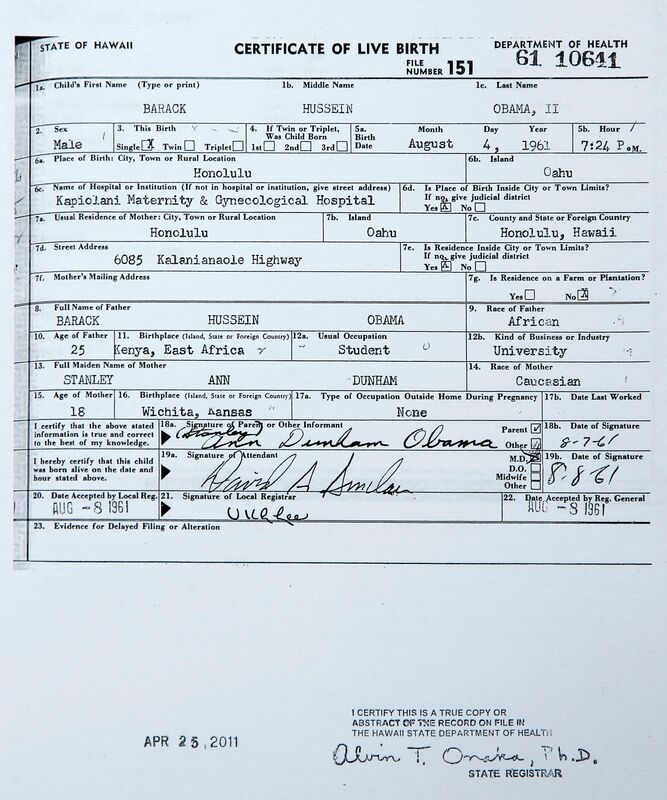 In a recent interview with the Daily Herald’s Editorial Board, he also confirmed that he considers himself a “birther” — someone who doubts, against all evidence, that President Barack Obama was born in the United States. He’s totally wrong, of course. 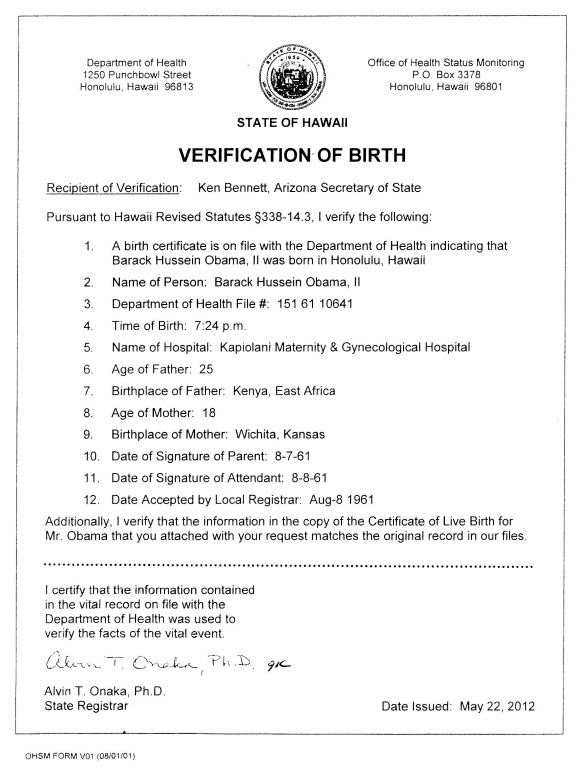 Obama’s birth certificate has been made public and verified by the state of Hawaii. People who hold ridiculous, easily falsifiable beliefs based on conspiracy thinking do not belong in government, and Kauther does not deserve to be taken seriously. The same standard applies to birthers, Holocaust deniers and “9/11 truthers,” who believe the U.S. government staged the Sept. 11, 2001, terrorist attacks. 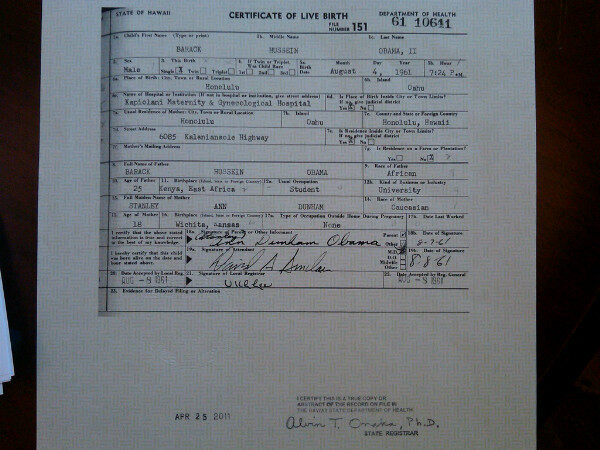 Kauther’s birther views are disqualifying. It may be wishful thinking, but I hope that after they have had the opportunity to vent their anxiety over the economy, folks will make sensible choices at the polls next week. Democrats will lose some seats, as is always the case in mid-term elections, but perhaps not as many as thought. This is in line with a recent jump in popularity for President Obama as reported in a Newsweek poll.